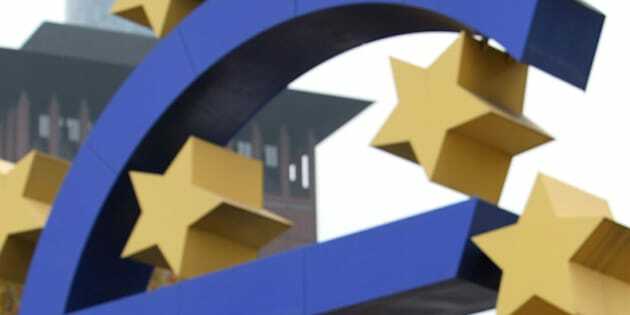 The past two weeks have seen a dizzying array of proposals from virtually every organ of the EU claiming that they can make the eurozone more efficient, durable, and solvent. If you noticed that no one is saying that they will make the eurozone more democratic, you're not the only one. And the most anti-democratic organ which is being set up is a permanent bailout fund, the European Stability Mechanism (EMS). The ESM will not only be a permanent bailout fund, it will have the ability to raise funds from member states without democratic accountability, while also making it impossible to leave the eurozone if the rest don't want you to. The ESM is intended to replace the current bailout fund, the European Financial Stability Facility. The ESM was signed in July of this year and is expected to be ratified sometime in 2013 by the signatories. It purports to enshrine for all time the various legal inadequacies of the EFSF. The ESM will raise 700 billion euro from eurozone members in pro-rata shares by GDP. The Board of Governors is made up of finance ministers of countries that do and do not get bailed out as well as who does and does not get punished for not paying their share, and vote mostly by qualified majority. Member state contributions are mandatory, the obligation to pay enforceable in the European Court of Justice. Contributions can be raised without limit if the Board of Governors agrees. All future members of the euro must sign on to the ESM. Ominously, these obligations are to be permanent. "ESM Members hereby irrevocably and unconditionally undertake to provide their contribution to the authorised capital stock" (Article 8(4)) and to "pay," not guarantee, certain capital calls voted on by simple majority within seven days (Article 9(3)). This provision does not seem to fit with the manifest ability of member states to leave the Union and the euro simultaneously. If the obligation already undertaken is really irrevocable, what contributing country would ever leave the eurozone if it could? The practical effect of such arrangements is that the eurozone configuration of the Council of Ministers (or Council of the European Union) has just increased its powers grandly without a vote as the treaties call for. The document takes power away from national legislatures. Imagine if all finance ministers agree to raise the total subscription amounts from 700 billion to 1 trillion euro. Each country would have seven days to pay. No legislation will be needed to relieve a member state of its money, so the legislature and accordingly the citizenry are without recourse to decide whether to keep its money. An aggrieved national population, assuming it is even made aware of the transfer, has only one arrow in the quiver: replace the government in the next election. This is a very blunt instrument indeed given it would be only one of many issues upon which an election could turn. Thus heads of state, and of course their finance ministers, have little to fear by giving away their people's money by this method. Further, the ESM, though founded during a crisis, is not an emergency provision. Maybe France and Germany will amend the treaties over the next couple of years to backfill the glaring impropriety of the origin and substance of the ESM to make it seem more legitimately wrought. But if this is the state of things to come in December, democracy is in for as rough a ride in Europe as national pocketbooks.